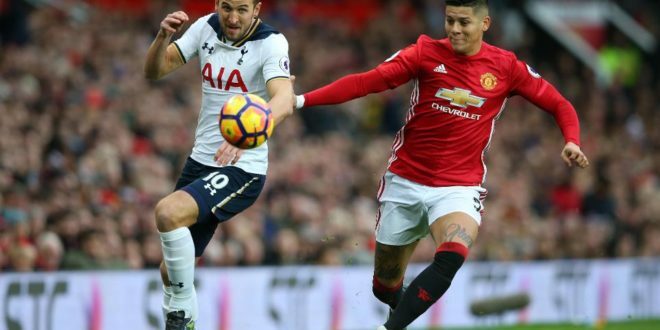 Manchester United suffered an embarrassing defeat against Tottenham on Monday in the Premiere League. Two goals were scored within two minutes of each other: A header by Harry Kane in the 50th minute and a strike by Lucas Moura in the 54th minute. Lucas then added a third in the 84th minute, to end the game 3-0. This is the first time that United have lost two of the first three league games since 1992-1993 season.